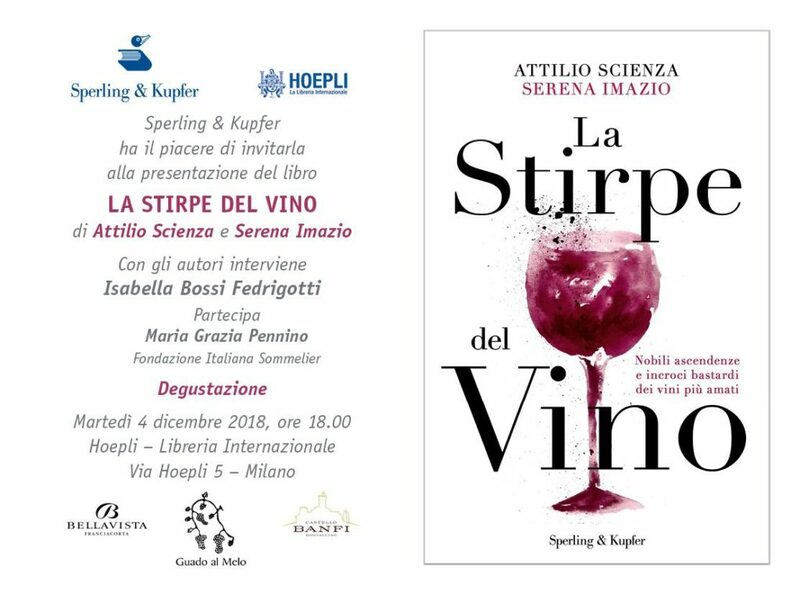 On Tuesday 4 December at the bookshop Hoepli in Milan, at 6.00 pm, our prof. Attilio Scienza will present, with the co-author Serena Imazio, his new book “La stirpe del vino” (“The bloodline of wine”) Ed. Sperling & Kupfer. Isabella Bossi Fedrigotti (Italian writer and journalist) will also speak. Maria Grazia Pennino (Sommelier AIS) will support the tasting of some of our wines and other estates (Bellavista from Franciacorta and Banfi from Montalcino) who kindly offered some of their best products.